Summer is just around the corner – it’s time for picnics in the park and beach holidays. You are likely to spend more time outdoors, whether it’s playing sports or having a barbecue in your garden. However, make sure that you protect your eyes every time you step outside. To help keep you bang on style, take a look at the trend forecast for Summer 2016. 2015 was all about mirrored lenses, and looks like the trend will continue into 2016 as well. Gorgeous cobalt blue mirrored lenses were a hot favourite on the runways, especially when paired with handmade Italian tortoiseshell frames. Cat eyes are still the hottest shape in sunglasses; many designers took the classic shape and updated it in some futuristic colours or added a dash of bling. Lightweight metal frames in primary colours (red, blue and yellow) are also trendy at the moment. Or try some of Maui Jim’s frames in eye-catching colours; the added advantage is that these sunglasses come with polarised lenses offering 100% UV protection. The runways of Spring/Summer 16 also saw a lot of wooden frames, in colours ranging from blonde oak to a deeper mahogany. Pick a pair that blocks at least 99% of UVB rays and at least 95% of UVA rays; anything less than that is purely cosmetic. They must be CE-marked otherwise there is no guarantee that they offer any UV protection. Always try on the sunglasses to make sure that they fit properly. They should not pinch around your head and your eyelashes shouldn’t touch the frame or lenses. Scratch-resistant and impact-resistant lenses, such as those made from NXT polyurethane are the best option. These also have great optical clarity. Polarised lenses are great for water sports and even fishing – they cut out extra glare and let you see into the water. The sunglasses you choose should suit the shape of your face. Not all styles suit all faces, and the wrong style can make your face look too large or too small. If you’re looking to change your look this summer, drop by your local Leightons Opticians and Hearing Care branch and choose from our wide range of designer sunglasses. We have all the hottest brands in-store, from Calvin Klein and Gucci to Maui Jim and Givenchy. Try on various styles to find a pair that suits the shape of your face and your lifestyle. If you’re going for the classic look, Ray-Ban has some cool looks as well as the trusty Aviators. Try the classy two-tone cat-eyes in teal and beige, or the contemporary round tortoise frames. For the geek-chic look, check out William Morris’ rectangular frames in grey, red or hot pink. Or if you’re heading to the beach this summer, why not pick up a pair from Nautica – you can’t go wrong with their classic frames, which beautifully incorporate nautical themes. While you’re at the branch, you could also book an eye examination if you haven’t had one recently. 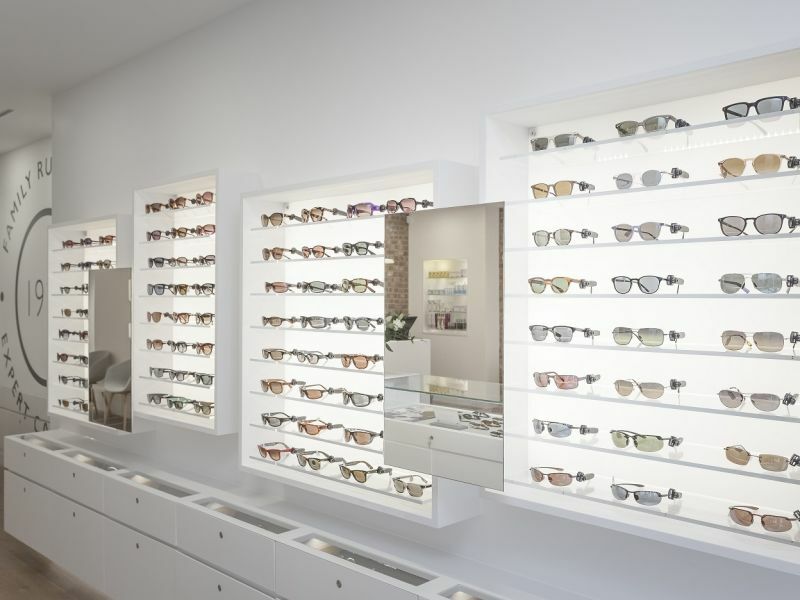 Should you need prescription lenses for your sunglasses, we can fit your chosen designer frames with the appropriate lenses. So visit your local branch or book an appointment online with Leightons Opticians and Hearing Care.